Dubai: Russian Anastasiya Nifontova, a mother of two, has proved herself to be as fearless any of the sport’s top riders and drivers assembled at Yas Marina Circuit this weekend to prepare for World Championship duty. 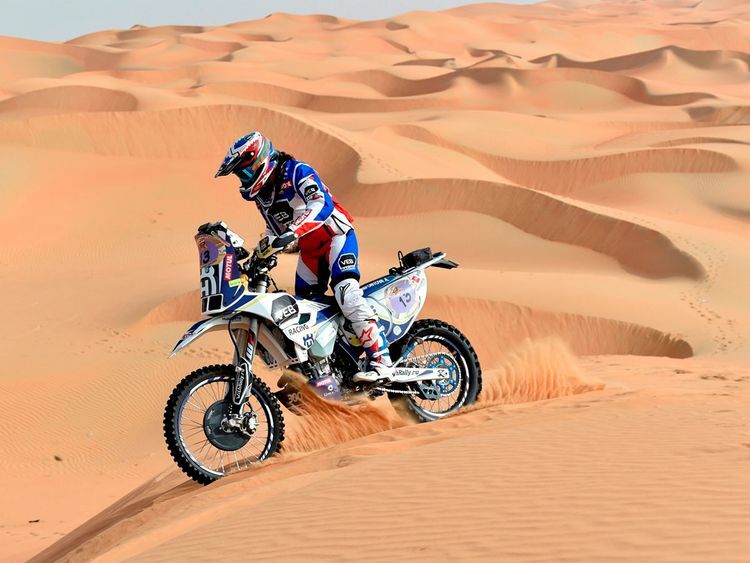 Nifontova is the sole woman competitor in the bikes and quads category at the Abu Dhabi Desert Challenge Powered by Nissan, just weeks after creating history in the gruelling Dakar Rally in Peru. Nifontova became the first woman ever to finish the event completely unassisted. Not only did she safely negotiate a route totalling 3,100 miles, with nearly 1,900 miles of timed stages, she had no mechanical help or support of any kind. The achievements of the 2015 women’s’ FIM Cross-Country Rally world champion have made her a role model for women in motorsport, and she is one of five female competitors overall contesting the Desert Challenge. The others are Andrea Peterhansel, wife and co-driver of five-time cars winner Stéphane, Italian Camelia Liparoti and her Spanish co-driver Rosa Romero in a Yamaha buggy and Egyptian Yara Shalaby in a Nissan Pathfinder. After a mechanical nightmare in the 2014 Desert Challenge, Nifontova was placed 30th out of 45 finishers 12 months later, and she hopes for much better this time with the support of husband Anton Gavrilov, one mechanic and a 4WD assistance car. She still faces another big test, however, in an event which has attracted 41 riders for the opening round of this year’s FIM Cross-Country Rallies World Championship. On Sunday morning, the rally leaves Abu Dhabi for five difficult desert stages of 261km, 222km, 297km, 286km, and finally 214.47km in a route totalling 2,006.73km in length.